You are surely going to leave behind some of the best adventurous moments of your life time once backpacking to your city life from Damdar Kandi Pass trek. Set at an elevation of 5,604 meters, the Damdar Kandi Pass is one of the high altitude mountain passes in the Indian Himalayan region that is located in the Garhwal Himalaya and connects the two Hindu pilgrimage sites, Gangotri and Yamunotri en route to a distinct landscape that is perched with several solitude hamlets, alpine meadows and thick forest of Deodar, pine and rhododendrons. The trek to Damdar Kandi Pass further cuts across several small gushing streams and cuts through moraines and glaciated tracks that often turns out deadly. 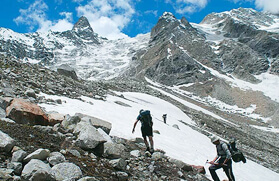 Being one of the toughest treks in the Garhwal Himalayan region, the Damdar Kandi Pass Trek involves continuous uphill and downhill trails through narrow cliffs and rocky, snaky and crazy paths. Further, the Gangotri group of peaks, Bandarpoonch and Swargarohini Peak are clearly visible on the trail to and from Damdar Kandi Pass. 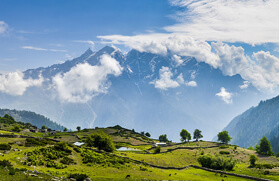 Moreover, the sprawling verdure of the Ruinsara Valley comes in one frame on your Damdar Kandi Pass Trekking tour in the Garhwal Himalayan region. 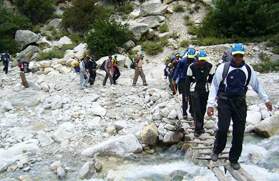 The Damdar Kandi Pass Trek commences from Jhala, which is approximately 3-4 hours of drive from Uttarkashi. From Jhala the trail leads to the shepherd camp that passes through a thick forest along the left bank of Sian Gad. 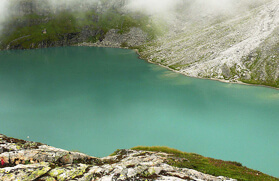 Thereafter, the trail continues upwards to Kyarkoti at 3,750 meters, which is approximately 10 kilometers away. From Kyarkoti the journey turns to be strenuous to Guntu Nala and thence head to the base of the Damdar Pass via a sprawling and beautiful alpine meadow. 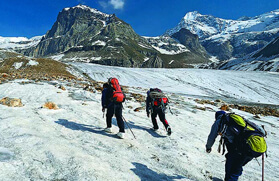 The journey upwards to Damdar Kandi Pass is one of the toughest treks in the Garhwal Himalayan region that follows a steep climb and later descends to Kalanag Base. 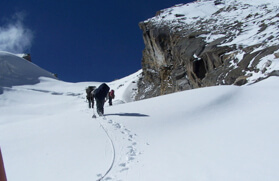 The trail from Damdar Kandi Pass to Kalanag base is approximately 6 hours. From Kalanag trail downhill commences through several waterfalls to Ruinsara Tal and thereafter winds to Cross Bali Pass via Thange. The journey from Bali Pass leads to Yamunotri and thereafter wheels to Dehradun via Mussoorie. Being one of the toughest treks in the Garhwal Himalayan region, the journey demands some serious acclimatization to the varying altitudes. 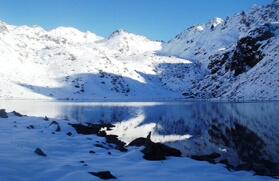 Moreover, it is recommended that the trek should be undertaken by trekkers having some prior experience of trekking, especially high altitude trekking. The best time to hit the tracks to Damdar Kandi Pass is during the summer and autumn seasons. In the morning board the AC Train for Haridwar scheduled at 06:50 AM. Upon reaching Haridwar by 11:25 AM, meet our guide who will assist you to reach Rishikesh and check into the hotel. In the evening, visit the famous Ganga Ghat for the Ganga Aarti ceremony. We will have dinner and stay overnight at the hotel. After having wholesome breakfast, we will drive to Uttarkashi passing through Chamba and Tehri. Upon arrival at Uttarkashi, you will check-in to a hotel. We will have dinner and stay overnight at the hotel. On this day, in the morning after having breakfast, we will drive in the direction of Jhala. After reaching, we will set up our tents for an overnight stay. 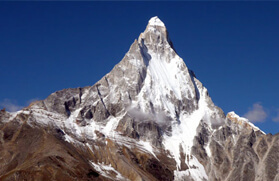 Optional: You can also visit the shrine of Gangotri and then from there drive back to Jhala. Arrangements made for dinner and overnight stay in the tents. After having wholesome breakfast, we will start our first-day trek in the direction of the Shepherd Camp. The trek continues on the path following the left bank of the Sian Gad, later we will be climbing on precipitous terrain and then pass through a dense forest. After reaching Shepherd Camp, you will check-in at the camp. We will have scrumptious dinner and stay overnight at the camp. After having wholesome breakfast in the morning, we will begin the trek and move towards Kyarkoti along with packed lunch. The trek will involve climbing on precipitous terrains and further passing through dense forest and extensive alpine meadows. After reaching the Kyarkoti Meadow, we will set up the camp. Arrangements made for delicious dinner and overnight stay at the camp. On this day, we will be trekking towards Guntu Nala. During the entire trek, we will be crossing a dense forest, see the impressive waterfalls and go across an extensive meadow. After arriving, we will set out the camp for night stay. After having healthy breakfast, we will move ahead and trek towards the Bugyal Camp, which is supposed to be the best and fabulous meadow in the valley. We will be staying overnight at the Bugyal Camp. In the morning, after having breakfast, we will begin the trek to the Below Pass which will take about 6 hours. After reaching the campsite, we will set out the camp and stay overnight. Today, the trek will be challenging and tough. 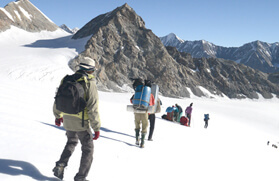 We will hike all the way through the rough mountains and boulders to reach the Damdar Pass. After reaching the campsite, we will set out the camp and stay overnight. On this day, we will start our trek to Kalanaag Base after having breakfast. 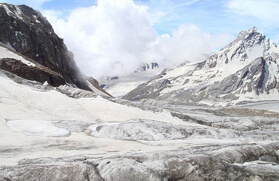 The trek to the will be a moderate one and will take around 6 hours to reach the destination. We will stay here for overnight. 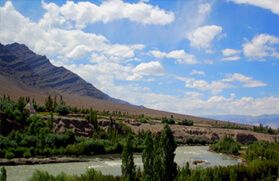 Today's trek is going to be exhilarating as we will be passing through and see soaring snow-covered mountains, stunning waterfalls, and verdant green meadows. Upon arrival at the Ruinsara Tal, we will set up our camp and will be staying overnight at the camp. In the morning, after having wholesome breakfast, we will commence the trek towards Thange. During the trail, we will be passing through the rough mountains and rocks. We will be staying overnight at the camp in Thange. Today, we will begin the trek from Thange and pass through the Bali pass to reach our destination Damini. We will be staying overnight at the camp in Damini. Today after having wholesome breakfast, we will trek downwards in the direction of Yamunotri. We will be staying overnight at the camp in Yamunotri. After having wholesome breakfast, we will drive towards Dehradun through Mussoorie. After reaching Dehradun transfer to the railway station and board the AC train to Delhi. You will reach Delhi by 22:45 hours.